These email tutorial videos are designed to give you an overview of each email client and how to setup your cpanel mailbox in each one. 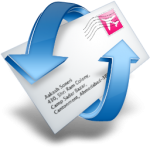 The process for configuring your email client is exactly the same, no matter what email application you use. If there is ever anything in your email web hosting that you are not sure about, please ask us before trying it out.